Malaysian government reports a group of Maldivians worked on the recent coup attempt from Malaysia, says Spokesperson at ruling Progressive Party of Maldives (PPM), Ali Arif. 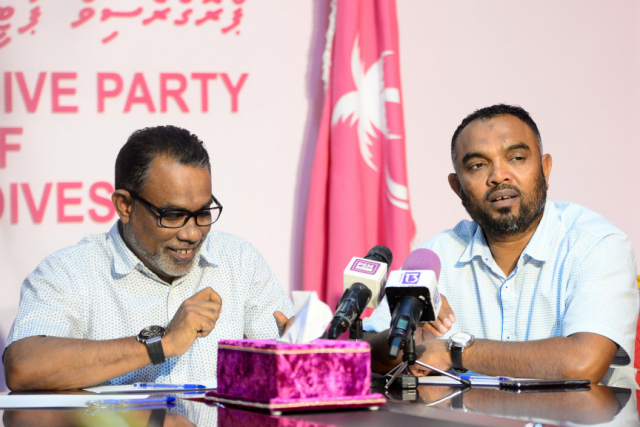 Speaking at a press conference held by PPM last Friday night, Ali Arif said the Maldivian Ambassador to Malaysia Mohamed Fahmy Hassan informed the government some of the work on the coup attempt took place in Malaysia. He said Ambassador Fahmy got the information from Malaysia’s foreign ministry. Fahmy was also told by officials at the Malaysian foreign ministry that the country’s government will not release a travel advisory warning its citizens against travel to Maldives, said Arif. Arif said the Malaysian government expressed confidence in the capability of Maldives to resolve the current political crisis.